While I was a little bit mixed on last week’s season premiere, this week’s episode “We Are Both” was everything I love about the show. Right off the bat, “We Are Both” jumped to the biggest question I’ve had since the spell was broken. 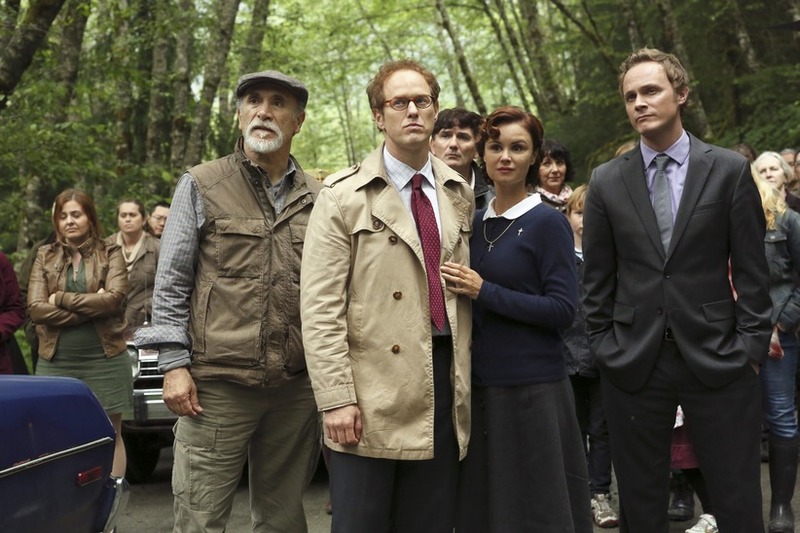 What happens when you cross the border of Storybrooke and leave town? In the first season, Storybrooke residents literally could not cross that line. An invisible force would keep them inside the town. That’s no longer true, but there are still serious consequences to crossing that line. This episode offered all the intrigue I felt was missing a little bit from last week. I really enjoyed all the setup for what may be in store for Storybrooke. I took particular interest in the personal quandary everyone in town finds themselves in. That quandary is whether to cross the border out of Storybrooke and live a life free of magic and (maybe more importantly) free of Regina. The price for crossing that line is permanently forgetting who they were in the Enchanted Forest. Instead they will only remember they’re false Storybrooke life created for them when they were under the curse that brought them to Storybrooke in the first place. It’s a little like when a comic book superhero considers living a mortal life rather than live with the burden of their superpowers. In this case, some of the townsfolk have enjoyed their new lives and would rather live without the burden of magic. On the other hand, Regina (Lana Parrilla) fully embraces the return of magic, aimig to get her full powers back, as does Mr. Gold (Robert Carlyle). Mr. Gold/Rumplestiltskin and Regina face the biggest quandary of them all. They must decide what kind of people they want to be, and that makes them the most intriguing. Both of them constantly wrestle with their pre-magic “good” selves versus the people they became after magic took over their lives. I wouldn’t want to see either of them become totally virtuous at any point. Honestly, that would be boring. But I do love watching their struggle and seeing those glimpses of humanity in each of them. 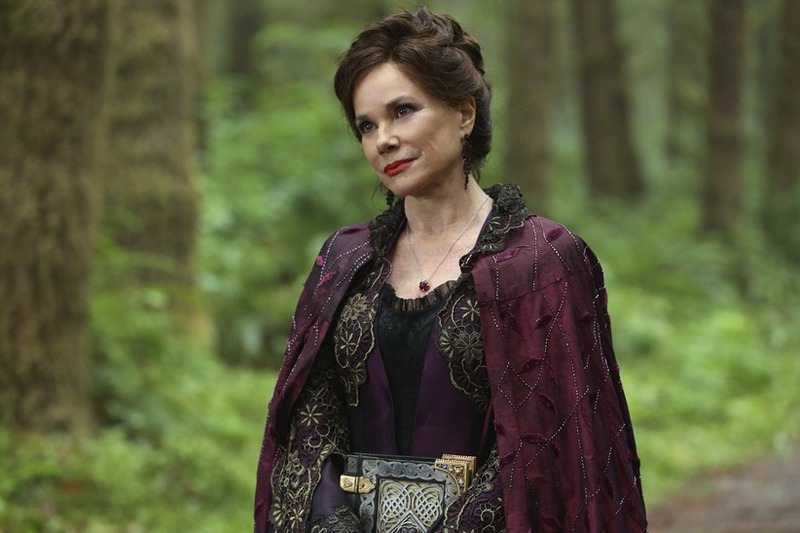 In this episode we got to see even more of Regina’s past descent as she became the Evil Queen and how her relationship with her mother, Cora (Barbara Hershey), was the catalyst for it all. The backstories of her and Rumplestiltskin are the most tragic of them all. They’re always forced to choose between love and power, and it’s not an easy choice for either. Regina seeks redemption and the love of her son Henry (Jared Gilmore), though she is clearly not ready to give up power. Rumplestiltskin wanted the love of Belle (who didn’t appear in this episode), but knows he can’t live up to what she wants him to be. How would crossing the line affect Mr. Gold? He never really forgot who he was. Would crossing the line turn him into the Mr. Gold that remembered his past but could do nothing about it? It seems his anger at the news of what would happen if he tried to leave town was a reminder that he is still looking for his son. He may have thought that lifting the spell would be his way out into the world, so he could find him. Instead, he is just as trapped within the borders as he ever was. 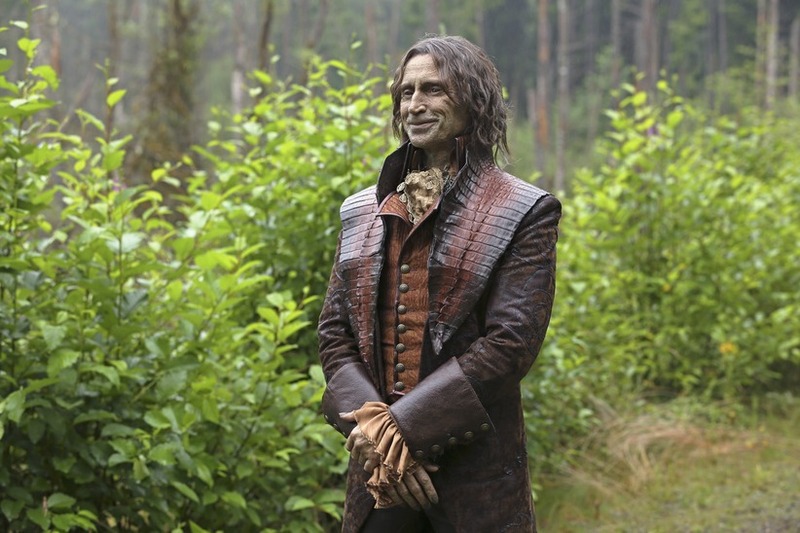 However, maybe since Mr. Gold remembers who he is, he may continue to remember the son – even if he crossed the border. He stands at the line pondering this question, just as Regina ponders burning the book of spells her mother had used against her, and that Regina used for her own evil. Mary Margaret/Snow White (Ginnifer Goodwin) and Emma (Jennifer Morrison) only appeared briefly in this episode. They’re still trapped in the fairytale realm. The others who survived the curse on that side are not all the friendly. David/Prince Charming (Josh Dallas) is desperately trying to find a way to get them back, while at the same time trying to keep the town from falling into chaos. I was happy to see a return of Jefferson/The Mad Hatter (Sebastian Stan), but I was wondering if he would find his daughter since she would remember who he is now. I have been curious about the fate of Pinocchio, but his brief appearance left more questions than answers for now. Overall, great episode – looking forward to next week.